Over recent months I have been honoured to interview leading Saudi women for our report, Roads to the Top for Saudi Women. There were so many insights from these inspirational women, I am delighted that Dr Amal Fatani has allowed us to share wider views from her interview than we could include in the report. 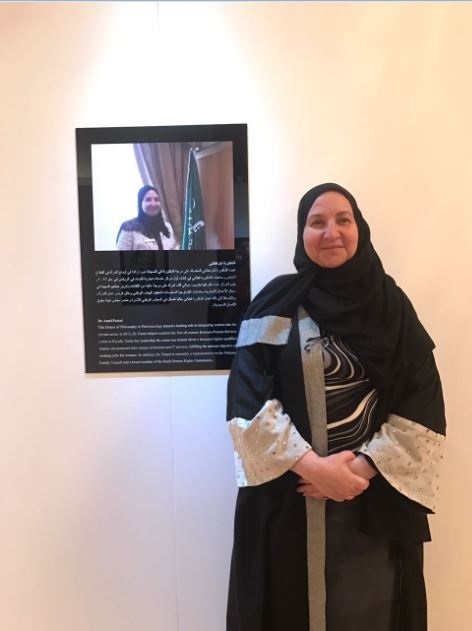 Associate Professor at the Department of Pharmacology & Toxicology at King Saud University, Dr Fatani was a pioneer in pharmacy in the Kingdom, is a leading academic in this field and has held influential roles at the Ministry of Higher Education, in the private sector as Consultant & Head of All Women Business Process & IT Services Center, as well as Board Member of Council of Saudi Human Rights Commission and lately Board Member at King AbdulAziz and his Companions Foundation for Giftedness & Creativity. Metin Mitchell (MM): Your career is full of firsts. Can you tell me about some of these? Dr Amal Fatani (AF): I was privileged to be part of our country in the 1980s when Saudi was building itself. I started off my career in an experiment, the first pharmacy program for girls in the Kingdom. Fast forward and I was the first person in my Master’s and then went to the UK to do my PhD. At that time it was difficult for women to get scholarships so I took leave without pay for three years and literally, rather than spend money on clothes and bags, spent it on my career. Once I started that first journey in pharmacy, it was very logical to be the first in everything – so I was one of the first people to head the department. I was the first Vice Dean of the college and then selected to be the first Dean of nine scientific and medical colleges in KSU. When I went to the Ministry of Higher Education, I became the first woman to set up women sections in the different sectors in the Ministry. It started with 20 ladies and I left the ministry with 334 ladies, who were taking care of the 40% women in all the scholarship programs – the largest in history and the world. I think we had 200,000 men and women scholarship recipients studying in more than 50 countries around the globe. My office was responsible for the women (40%), as well as the 55% females studying in Saudi Universities. We were responsible for supporting all the leaders in every single university female section in the Kingdom. We brought them over to the ministries, we went and visited them, we made sure they had everything, we visited the different attachés around the globe. MM: What was the driver in all this – was it family or something inside you? AF: Both. I had a very supportive husband, mother and father and I am a very ambitious person myself. There have been obstacles but there is always that push forward from within. My family and my husband’s family have a long history of being pioneers in healthcare, education & business. MM: How have you combined family life with working? AF: I got married at 17½ and so I did everything with my kids and husband – from my Bachelor’s and Master’s to my PhD. When I was in the UK, it was a good chance for my kids, who were aged between 3 and 15, to experience self-dependency because I would leave at 7am and come back at 7pm, though I did have some help. My husband is very supportive. He was with me in the UK, studying for his degree but there were times he had to come back to Saudi for work – he knew he could depend on me. If you do not have the support within your family it is very difficult to go forward. I have never been stopped from doing anything I wanted to do as long as I put my head to it – I was actually encouraged. MM: What did the experience of the UK give you in terms of your career? AF: The British have this concept of throwing you in the sea and if you swim, you are OK. It taught me self-reliance. I came from an environment that supported us 100%, especially because I was in the first batch in our studies, everyone made it as easy as they could. In the UK nobody helps you at all and you have to come up with your ideas, you have to buy your own things. It was a challenge to me and I learnt a lot. MM: Are there differences in the way men and women manage in the Kingdom? AF: It is the difference in personality between men and women. Men are very good at certain levels of decision making and taking quick actions. Women are better at meticulous, step-wise approaches. If you come and ask a man: you can take this job and it is CEO level or CxO level, he will immediately say yes, even if only he has 20% of the knowledge. With a lady she will say: I am sorry, I need to learn and then I’ll do it. They are very meticulous about what they say and do. For example in the All Women Center in 2015 they had 400 ladies and by 2016 they were 1000 with 80% fresh graduates, which is even more difficult because they are millennials. They are excited, they think the world is their oyster so you have to manage their expectations in the right way and support them. I was supported in my career, now I need to give that back. MM: You have seen different parts of the world. Do you think there are particular strengths as a woman in Saudi society that help you to manage better as a woman, than counterparts in the West? AF: Our nature of travel – we are migratory by nature, whether going to Jeddah, to Bahrain, Jordan, Syria, Egypt or further afield to Europe, America, Far East. I think Saudis are very open-minded, they read a lot, they travel, social media, the ease of reaching information – especially this new generation now. They are much smarter than people take them for, especially in the West when they see your abaya. If you are covering your face it is even worse. They think that your mind is covered if your body is covered and they cannot differentiate. So I have ladies that stand in front of the best, whether it is scientific symposia or in the business world, who will speak extremely proudly about what they are doing, with their face covered, and I am proud of that. The second thing that gives us strength is that we have gone through a lot – difficult periods of political instability around us, oil up and down. Women in Saudi Arabia take care of the house, the kids, their parents; they have a very heavy social life that is a must, it is part of our culture. They usually work and all of this is combined, it is the norm. We have to get into more volunteering with the NGOs – we have more than 1000 NGOs in the country. There is this feeling that you have to give back to society which is extremely strong. Everybody is into some sort of support system. All this has helped us become more holistic in our approach. MM: You mentioned challenges – what were your biggest obstacles and how did you overcome them? AF: One of the first obstacles I faced was getting people to believe in pharmacy, which at that time was not understood. Either you were a doctor or you were an allied med but nursing and pharmacy were not on the upper chain of attractiveness. We literally had to change perceptions in the country. For example, I had a campaign that was written all over the college and we had an event called “I am proud to be a pharmacist” and they had to wear this on their chest and there were banners. Because it has to start with you believing you are worthwhile before you convince anybody else. Nobody could understand why I wasn’t in medicine – I had left medical college to continue pharmacy and they all thought I was a nutcase. I have never regretted that and it is my passion. 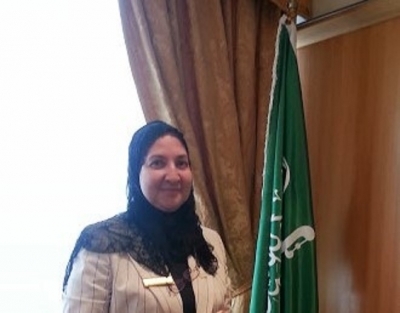 MM: What do you see as the role of women in Saudi achieving Vision 2030? AF: Women will play a big role in vision 2030. They are leaving their mark in healthcare, retail, IT, social studies & business. If you go to Ministries, if you go to sports commissions….look for women. Before, women preferred public sector, now we have ventured into business. Before the environment wasn’t ready for women, there were limited jobs and society wasn’t comfortable with the mixed environment in the private sector. Then there was a plan to encourage women to go to the private sector and make specific centres for them where they can do as high-end work as they want in every field – but in an environment where they feel comfortable. More importantly, where their families feel comfortable. MM: How did anyone prise you away from academia into professional services? AF: I have never been away from it. My husband has been in the professional world from day one. He was 10 years at Saudi Consultant House the precursor of SAGIA and then 10 years as the head of Saudi Council Chambers. He then went on for 12 years in the Shura Council. So for the whole of my career, whenever he had meetings or delegations, I would be involved with them. We would host them in our house, we would talk together about academia and business, we have that interaction on a daily basis. So I know a lot about business and he knows a lot about academia now. MM: What advice would you give to young women in the workforce to help them with their careers? AF: Be relevant. The world is changing. For example, in pharmacy – by the time I had graduated, half of what I had learned had become obsolete. By the time I had my Master’s: the same. By the time I finished my PhD: the same. You are into a continuous change of knowledge so be a lifelong learner. Don’t be afraid to take chances – or of change. If you are going to be more relevant than a robot you need to make sure that you are on top of everything. Same-old-same-old doesn’t work, even your profession is completely changing and you have to be there. Then there is life-work balance. Whatever you are as a leader at the top, don’t ever forget your family – the family unit will always remain the major portion of a holistic, stable society. It is like a house – if the foundation is not there, you are building a house of cards. We need to spend time with our children and make them ready to fit in a global world – but not to forget their roots. MM: To what extent do you think there is a danger of men being left behind? AF: I think it is the West that is facing the danger as we speak. In general I am not worried about men because if we think about women being adventurous and throwing themselves in the sea, men have been doing that forever. They have been very adept at manoeuvering through murky waters and looking at opportunities everywhere. They have done it inside and outside the country and nothing stops them, so I am absolutely sure they will always get along fine.